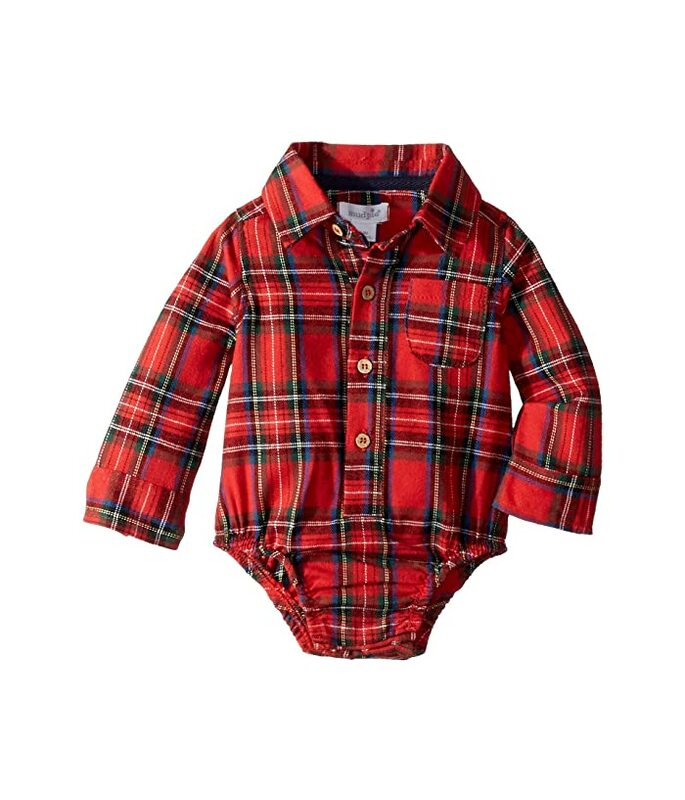 Brighten up the season with festive colors and glitter in the lovely Mud Pie® Red Tartan Plaid Long Sleeve Ruffle Dress. Adorable fit-and-flare dress boasts ruffled sleeves. Midweight knit crafted with classic box-plaid print. Scoop neck with metallic gold trim. Single-button closure with keyhole opening. 61% polyester, 35% cotton, 4% other fibers. Sign up to receive Mud Pie deals as they become available!